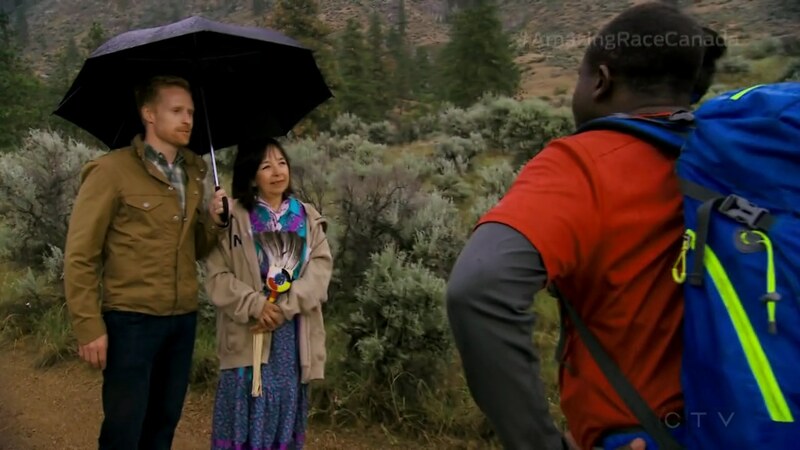 Recap: The Amazing Race Canada 3, Episode 10 – "My bladder's not psychic, unfortunately." The teams are heading back to Canada and Penticton, British Columbia. Once there, teams must make their way to D’Angelo Estates Winery and a brand new Chevy Silverado to find their next clue. Here, teams must free their white Silverados from a maze of black Silverados which they can only move forward and backward and using the rear view camera. 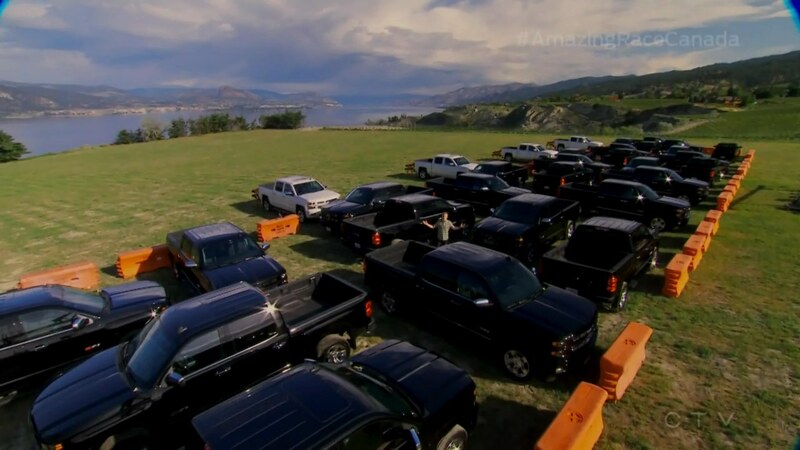 Once they’ve freed their Silverados, they can drive to the Summerland Waterfront Resort. CAUTION! Double U-Turn ahead! While Gino & Jesse stop and think, Nick & Matt free their trucks first after four moves. Gino & Jesse then play a forward and backward game with Simi & Ope. Brent & Sean pass after nine moves while Gino & Jesse pass after 14 moves. Simi & Ope finish after 17 and Dujean & Leilani are in last after 27 moves. At Summerland Resort, Nick & Matt find the Road Block: Who wants to get wet? For this Road Block, teams must ride a wakeboard and successfully complete a course without falling off. Nick, Jesse, Sean, Simi and Leilani decide to do the Road Block. Sean is the first to pass the slide portion of the course, but fails the jump. Jesse, however, passes both and he and Gino head to Covert Farms. Sean passes the jump and he and Brent leave 2nd. Nick & Matt are next. Over at the farms, Gino & Jesse find the Detour: Brains or Brawn. In Brains, teams must complete a series of farm-based challenges. First, they will find three bottles of wine using provided coordinates. They must then launch a potato towards a target before using a forklift to stack 10 pallets. In Brawn, teams will be completing chores. First, teams will toss 10 65-lb bags of onions onto a truck. Then they must flip a heavy tire over 100 meters and place it on a rack. Finally, teams must use monkey bars to cross a pile of manure. After teams have completed either Detour, they must cross the Freak’n Farmer Mud Run to reach the Double U-Turn board. Gino & Jesse choose Brawn. Nick & Matt choose Brawn while Brent & Sean find their Speed Bump. For their Speed Bump, Brent & Sean must correctly bottle, cork and label a dozen bottles of wine including a signature wax detail. 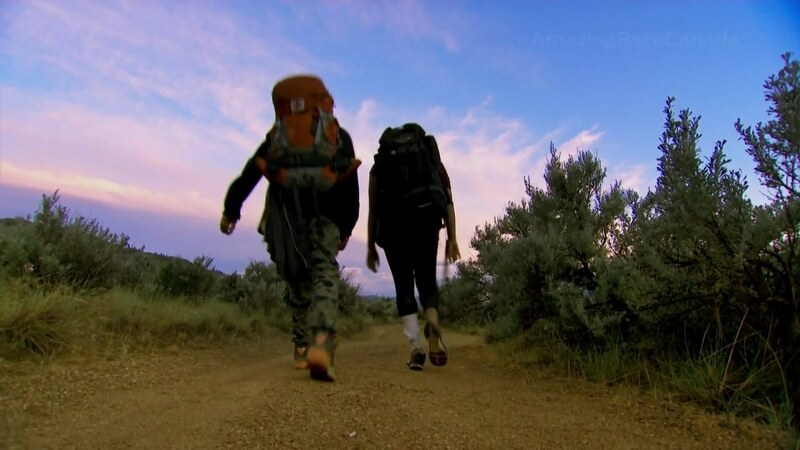 Meanwhile, Gino & Jesse finish the Detour and head to the U-Turn where they decide to U-Turn Nick & Matt. 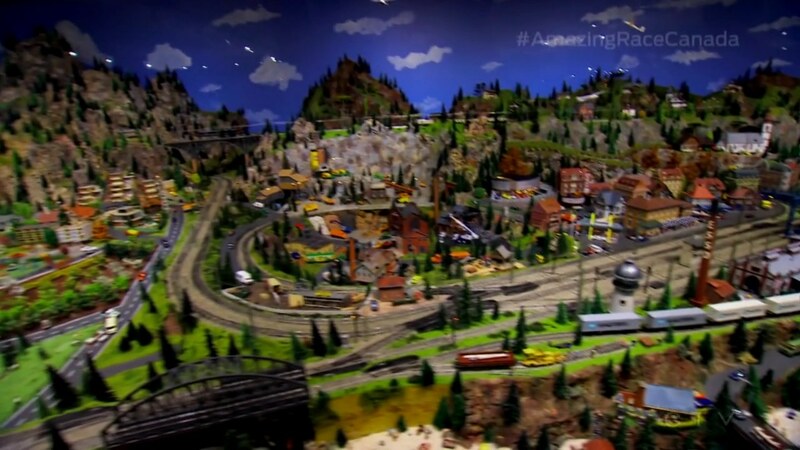 Teams must now make their way to Osoyoos Desert Model Railroad. Here, teams must search for a Mini Jon somewhere in the model town and then use a magnifying glass to read their next clue. Back at the Road Block, Leilani takes a hard fall on the slide and ends up getting plastic right in her Leg. She decides to continue. 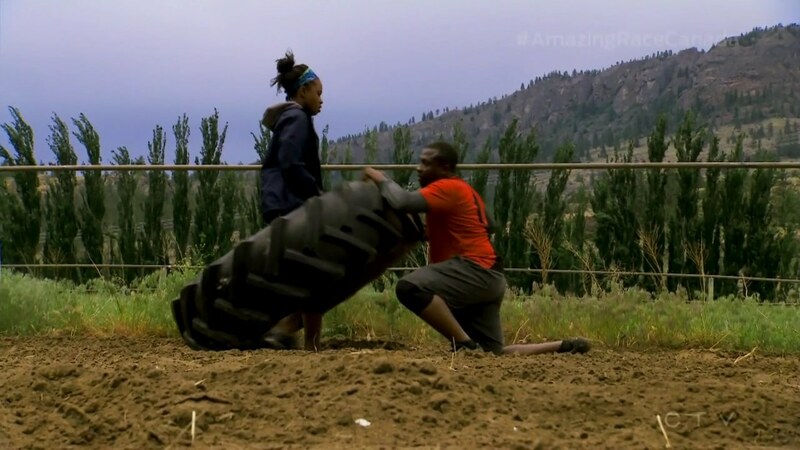 Simi finally finishes the Road Block and they head to the farm. At the farm, Brent & Sean finish the Speed Bump and decide to do Brawn. At the tire, Sean throws up. Nick & Matt finish the Brawn Detour, but find they’ve been U-Turned. They decide to U-Turn Dujean & Leilani. Simi & Ope arrive at the Detour and choose Brawn while Nick & Matt begin Brains. Over at the Road Block, Leilani pushes through to finally finish. But being in last causes them to be frustrated. Dujean is annoyed because he feels he could’ve done the task faster even with his fear of water. That upsets Leilani. That refers to the Nk’mip Desert Cultural Centre, the Pit Stop for this Leg of the Race. Gino & Jesse easily check-in as Team #1 and win a trip to Tokyo, Japan plus gas for 2 years. Over at the Detour, Brent & Sean finish and reach the U-Turn as Dujean & Leilani choose Brawn. Nick & Matt finish the Brains Detour and head for a 2nd mud run. Simi & Ope are at the monkey bars, but Simi’s arms hurt. So she decides to go up top instead under. They head to the mud run. Leilani struggles to get across the monkey bars. It starts raining and Dujean tells her to get this done. Leilani does not feel good. Brent & Sean find Mini Jon and head to the Pit Stop, but Nick & Matt are close behind. It’s a footrace to the Mat. And Brent & Sean win it by checking in as Team #2. Nick & Matt settle for Team #3. Simi & Ope find Jon and hurry to the find Big Jon. They head to the U-Turn and see their faces. But since they’ve taken a penalty, they will go find Jon. Simi & Ope arrive at the Mat and officially check-in as Team #4. 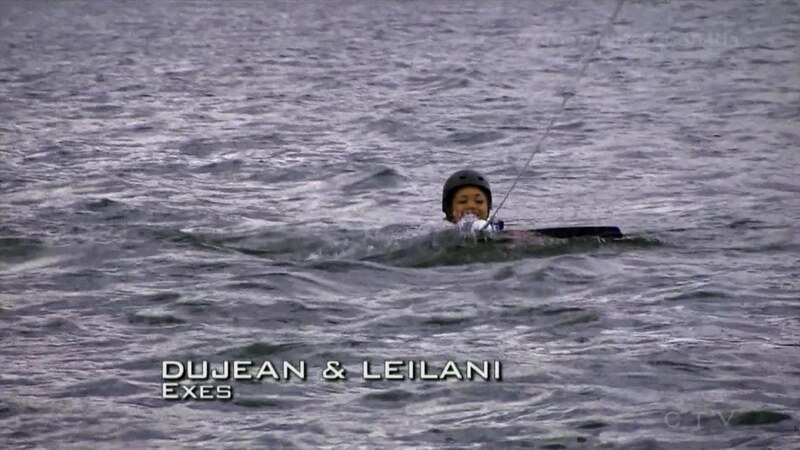 Dujean & Leilani get to the Mat and Jon makes it official, they are eliminated from the Race. That Where’s Mini Jon Waldo? task right before the Pit Stop brought me back to TAR Philippines 2 and their similarly designed Legs. Thank goodness this task didn’t determine the order or elimination since teams’ placements were pretty much solidified at the Detour. But I think that’s because of the Road Block. First come, first served tasks always present the risk of putting teams in an order. Especially before a physical task like the Detour. And with only five teams too. The Road Block itself was an alright task, but there was no equalizer possibilities after it. 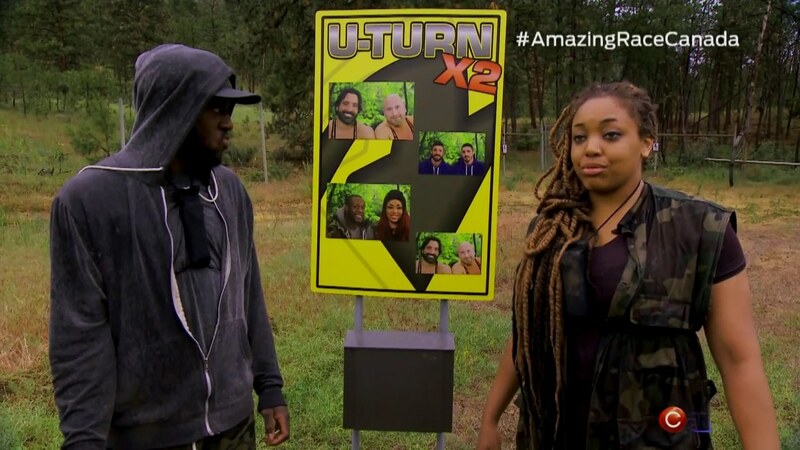 The Detour tasks were also good, but it’s impact was lessened since all the teams were basically doing them alone with no one else there next to them. That is never too exciting. The Speed Bump was okay as well. And the model town would’ve been a good early task instead of the cars even. About the car maze, I think this might have been more simple than the original TAR Australia task, the TAR China version and TARPH DryedMangoez 5 (lol). Here, teams just had to drive straight through instead of getting their car out of the maze itself. Anyway, it was an alright Leg and a okay episode thanks to Dujean & Leilani’s meltdown. But next week though! A Face Off on the Penultimate Leg?!?!?!! WTF?!?!?! Phew! I was so worried about Simi & Ope. Happy they’ve made it into the Final 4, but it looks like next week will be crazy. I definitely hope they can at least make it to the Final Leg, if not win it all! Best parent-child winners evah! Brent & Sean continue their consistent Race. And by consistent, I’m referring not only to doing well every leg, but also to Sean’s vomiting and rolling around on the ground before Pit Stops. lol Now we can add Brent preventing Sean from peeing. They’re hilarious. Definitely more fun and enjoyable and likeable than Rex & Bob from last season who were just horrible, bitter, mean-spirited people. Gino & Jesse and Nick & Matt are just okay for me. I’d be meh at them winning, but they’ve certainly Race well to deserve such a win. And Dujean & Leilani just had a bad Leg. Leilani was great to continue at the Road Block despite injury and wanting to switch Detours instead of taking a penalty. Dujean’s negativity the entire Leg was very surprising. But the worst was having their frustration push them to take a penalty. Then talking about how taking a penalty was like giving up. Ummm… didn’t they take a penalty just three Legs ago? Anyway, the bickering should’ve come earlier than it’d be more fun. But here, it was just hard to watch. Definitely a horrible way to get eliminated. I agree! I hope they have that final 4 twist too. With the face off and then that taxi drama, I’m worried Simi & Ope are in trouble.